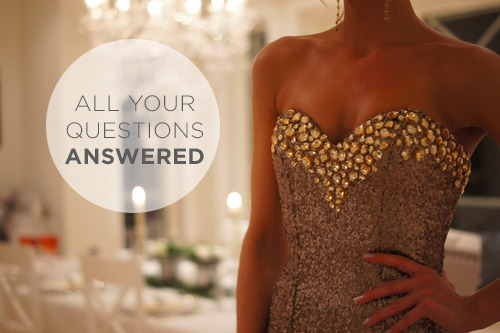 PoshFest 2013: Your Questions Answered! September 25, 2013 August 4, 2015 Categories Community, Events, PoshFestfashion, panels, PoshFest, questions, style, user tips, vegas, workshopsLeave a Comment on PoshFest 2013: Your Questions Answered! Wondering what a ticket to PoshFest can get you? With all this buzz about PoshFest, we bet you have quite a few questions about our first ever fashion festival! This blog post will hopefully answer all your questions about PoshFest and help you make the choice to join us in Vegas on October 19-20th! If you’re ready to go to PoshFest, use the code POSHFEST25 at checkout to get 25% off your PoshFest ticket – just because we love our Posh community. Get your ticket on our Eventbrite page. Step up your own personal style and become a Poshmark tastemaker with this panel’s expert tips. Hear from four power users as they discuss the personal impact Poshmark has had on them. Learn how marketing can increase sales in your Poshmark closet from a crew of some fabulous Posh marketing mavens. Poshmark’s Director of Marketplace Operations will lead this interactive discussion around what you need to take into account when running a business on Poshmark. Poshmark’s Director of Community will lead this interactive discussion around how to make relationships count on Poshmark. Poshmark’s Community Ambassador and power user will lead this interactive discussion on how to add a little pep to your Posh step while cutting some corners in the pursuit of Poshmark efficiency! PoshFest is a live two day event filled with fashion, friends, and fun happening in Las Vegas that will connect, inspire, and empower the Poshmark community from all across the country. Is there an age requirement for PoshFest? There is no age requirement to to attend PoshFest 2013. No, we will not be selling any tickets at the door. Who’s invited to PoshFest 2013? We’re excited to invite all registered members of Poshmark to join us at PoshFest! Not a member yet? No problem! Download the free Poshmark iPhone or iPad app, or register on the web. Will my PoshFest ticket provide any meals/accommodations/travel throughout the weekend? Your PoshFest ticket will provide two days of breakfast and lunch, but dinner is on you! This ticket does not pay for any accommodations or travel.